All listed officials must be registered on SFA Live. PLEASE COMPLETE THE APPLICATION ONLINE. - All officials are listed on the SYFA registration system. 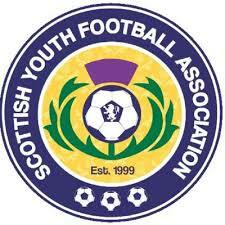 - All players are listed on the SYFA registration system. Registrations will only be accepted after approval by the ESSDA Committee. We agree with and will abide by the RULES & CONSTITUTION of the East of Scotland Soccer Development Association and all matches will follow the SFA/SYFA Player Pathway.